Why was an accused police shooter still on the streets? 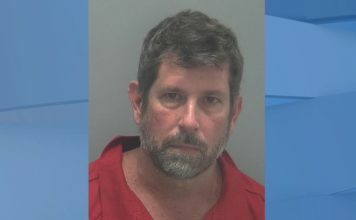 The man accused of killing Fort Myers police officer Adam-Jobbers Miller had a lengthy arrest record, and was apparently living in the country illegally. After the arrest of Wisner Desmaret for the shooting, Immigration and Customs Enforcement issued a detainer hold on him. A WINK News investigation found that the agency had issued at two prior holds on Desmaret in 2008 and 2010, but he was never deported. He was arrested 16 times from 2010 to 2018 for charges ranging from felony burglary to misdemeanor trespassing. Court records show he was never convicted of any of those felonies. Many cases were not prosecuted or charges were not filed. More recent cases in 2015 and 2016 were dismissed when the court ruled he was incompetent to stand trial. On an audio recording from that competency hearing, prosecutors raised concerns that Desmaret may have been faking his mental issues to get out of the case. In that same hearing, a court appointed psychologist testified that he felt Desmaret was intentionally trying to make himself look more impaired than he actually was. But ultimately both court appointed psychologists felt Desmaret had an intellectual disability after reviewing his school records. Lee County circuit Judge Joseph Fuller dismissed the case and Desmaret was released. Competency concerns also arose in an open Sarasota County weapon and drug possession case. But after Desmaret was sent to a state hospital on two occasions, the court decided he was competent to stand trial and he was released on bond in July. Just days after his release, police say he shot and killed Jobber-Miller. There is little information surrounding his immigration history. His father told WINK News the family immigrated on a visa from Haiti when Wisner was 10 years old. “40 percent of the undocumented aliens in the United States overstay their visa,” said Ulysses Jaen, a professor at Ave Maria School of Law who worked as an immigration attorney for more than a decade. WINK News could not determine what type of visa Desmaret entered on, and whether or not he overstayed it. The Department of Justice denied a freedom of information act request for a record of Desmaret’s proceedings with the Executive Office for Immigration Review, the agency that oversees deportation matters. EOIR sent a letter stating privacy rules that would require a signature from Desmaret to release information. Jaen said that EOIR does not like to release records that could potentially be used in a way that would set precedent, or affect the outcome of another pending immigration matter. “You have an administrative process and it is run by the same people who are doing the prosecuting. They don’t want to make those records available because it would be against their best interest,” he said. State records from both Glades and Lee County give insight into Desmaret’s interactions with ICE. A booking report from Glades County showed that the sheriff’s office detained him in 2008 for ICE and then released him to Krome, the immigration detention processing facility in Miami. Department of Justice data available online shows that 93 % of detainees processed through Krome that year were deported. A court record from Lee County shows ICE issued a hold on Desmaret again in 2010, but there is no further information on whether he was picked up on that hold. Jaen said there are several reasons a detainer hold may not result in deportation. “Either ICE didn’t pick him up, or they didn’t feel it was worthy of processing or they didn’t have him on the priority list because his crime wasn’t high enough at that time,” he said, in speculation. He also added that the deportation process is easier when there is a felony conviction.